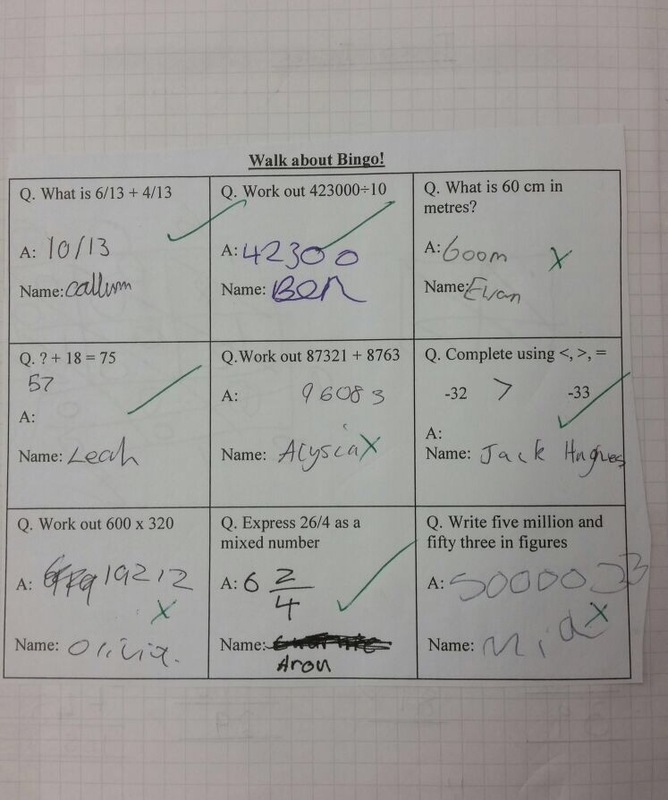 There are lots of different versions of Bingo that can be played. Walkabout Bingo is a favourite with my classes and this game encourages students to interact with each other and use/consolidate their subject knowledge. 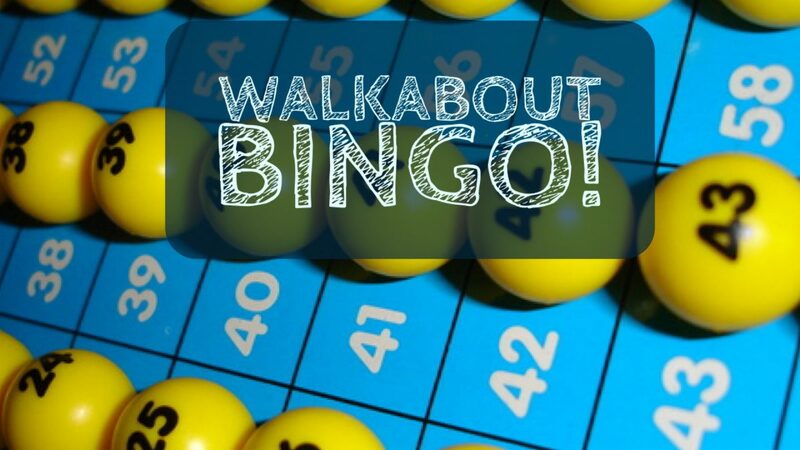 Walkabout Bingo is a simple yet effective idea for the classroom. To play this game there needs to be a series of boxes, the amount of boxes can vary depending on class size or time dedicated to the activity. In each box there will be a question, focusing on the topic or lesson. In the same box a space to write the answer and underneath, still in the same box, it will say ‘name’. 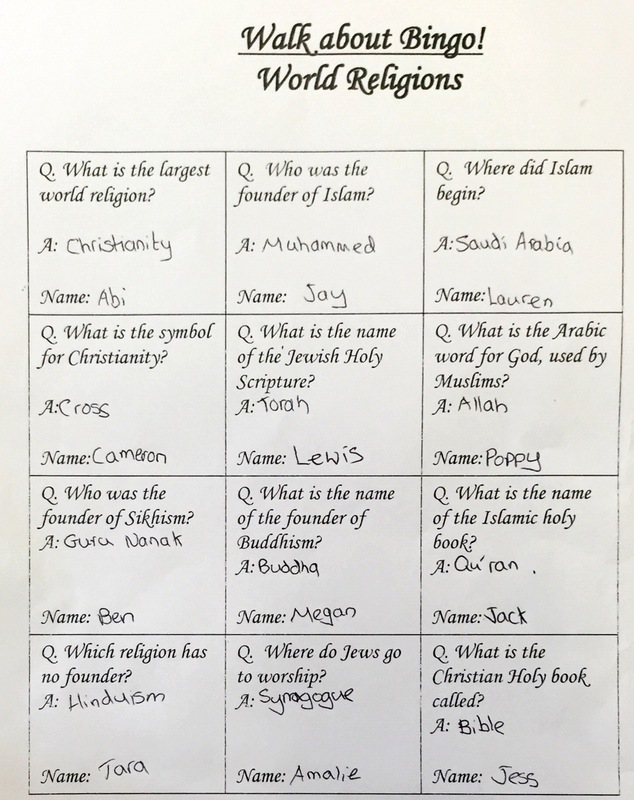 The aim of the game is to have all the boxes filled with correct answers but students must get their answers from other members of the class. They cannot answer the question on their sheet themselves; they can only answer for other people. 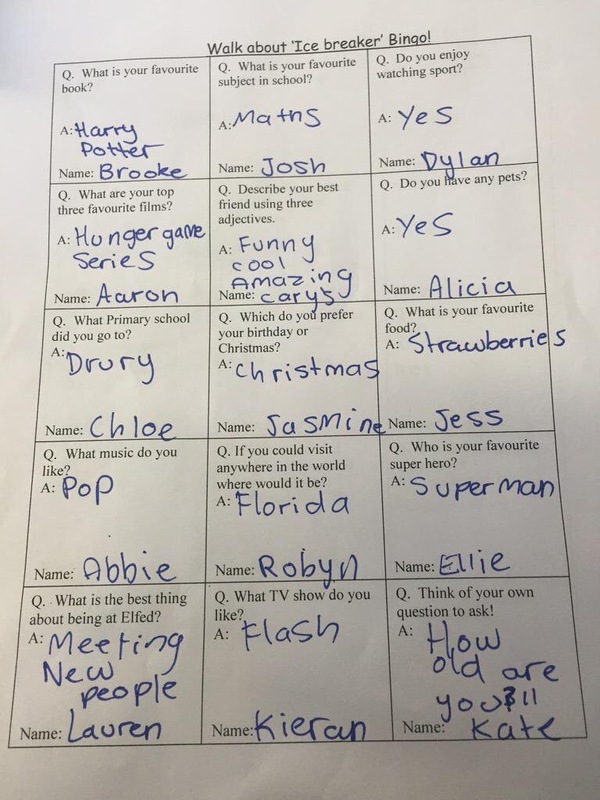 Also, they can only ask someone a question once – hence the name in the box. So a student will go up to someone in their class, ask them the question, write down their answer and write down the name of the person who told them the answer then find someone else to answer their next question. Walkabout Bingo works well for any subject. I would suggest doing it at the end of a lesson or end of a unit as a plenary to assess subject knowledge and understanding. 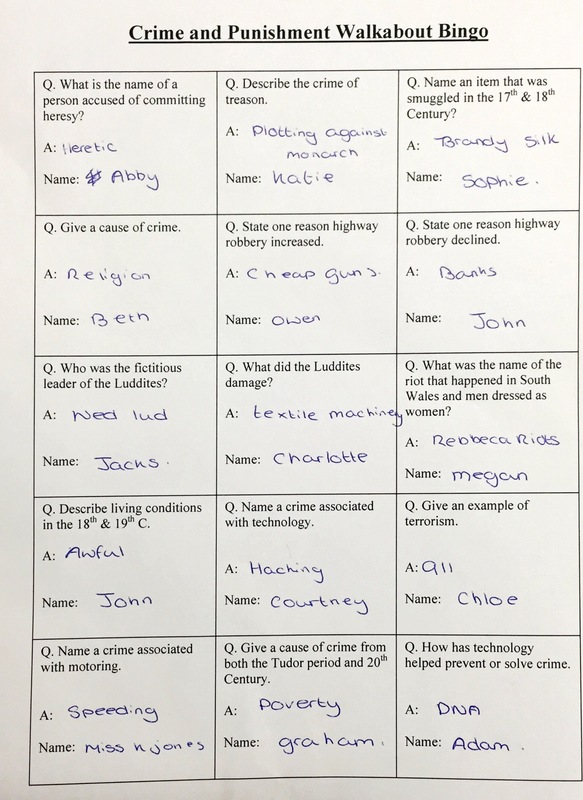 I have also used it as a starter activity because it can be a great hook, students are instantly engaged and involved, whilst also recapping and revisiting previous learning. It is also an effective and enjoyable way to revise and consolidate subject knowledge, so can be used with GCSE and/or A-Level classes. I tried the ‘Walkabout Bingo’ activity with my Year 7 tutor group and it was a brilliant ice breaker activity. 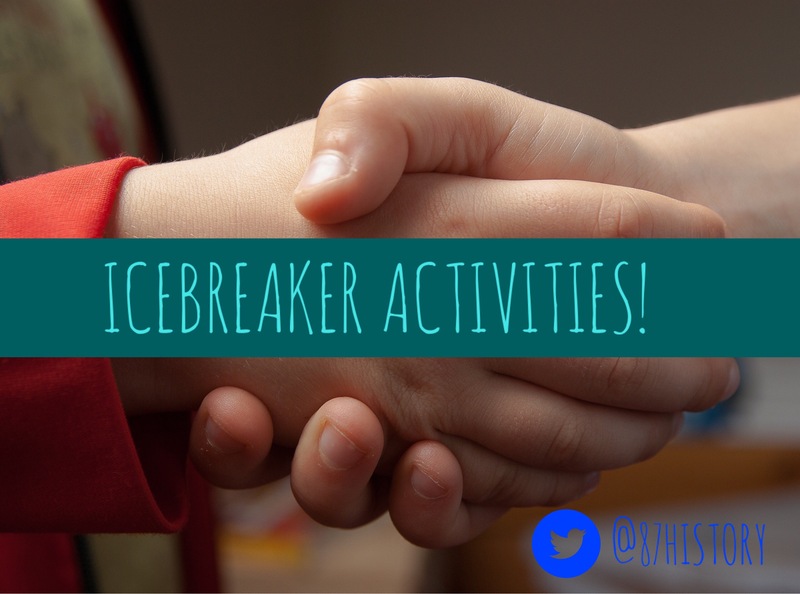 It encouraged students to talk to each other, ask and answer questions and they also learnt a lot of interesting facts about each other helping them to get to know each other better! Then students discussed their answers in more detail. 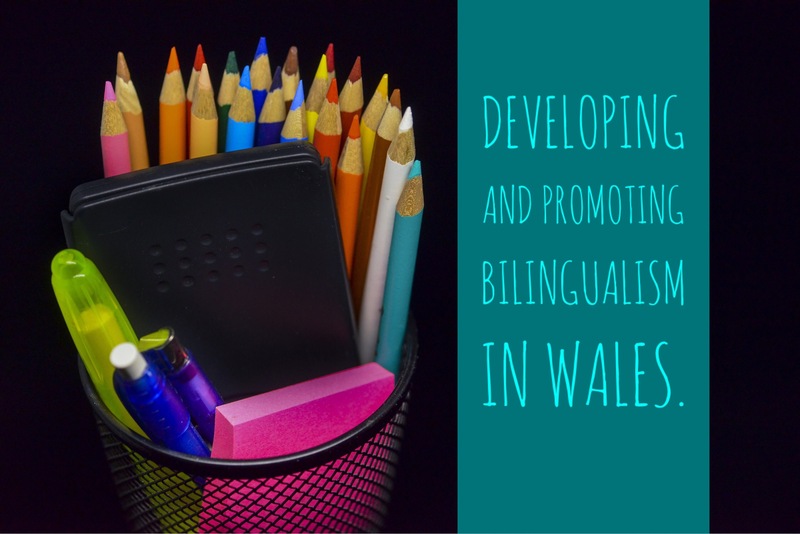 This is a fantastic game for MFL as it develops oracy skills, students asking and answering questions in a different language. This can help students who struggle speaking in front of the class, so it can help towards building confidence. I shared this idea with my colleagues and it has been used across the curriculum including English and Maths. 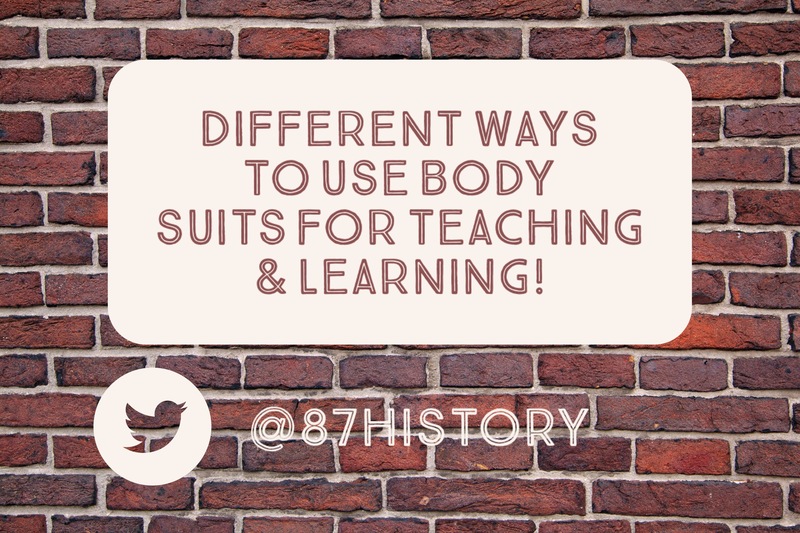 Different ways to use Body Suits for Teaching & Learning! Previous post The Zone of Relevance…explained.